Every consumer in a modern economy is indirectly exposed to the work of a price reporting agency (PRA) each time they fill up their car, take a flight or switch on a light, and yet the general public is completely unaware of the existence of PRAs. Firms like Platts, Argus and ICIS, which are referenced every day by commodity traders and which influence billions of dollars of trade, are totally unfamiliar to consumers. 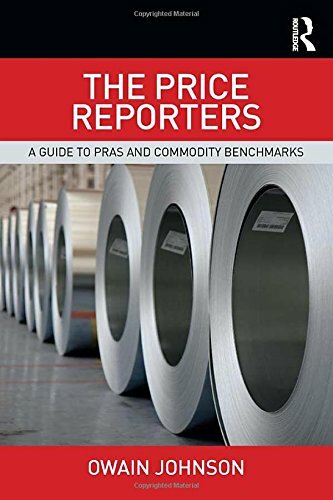 The Price Reporters: A Guide to PRAs and Commodity Benchmarks brings the mysterious world of price reporting out of the shadows for the first time, providing a comprehensive guide to the agencies that set the world’s commodity prices. This book explains the importance of PRAs to the global commodities industry, highlighting why PRAs affect every consumer around the world. It introduces the individual PRAs, their history and the current state of play in the industry, and also presents the challenges that the PRA industry is facing now and in the future, in particular how regulation might impact on the PRAs, their relationships with commodity exchanges, and their likely direction. This is the first-ever guide to PRAs and is destined to become the standard reference work for anyone with an interest in commodity prices and the firms that set them.